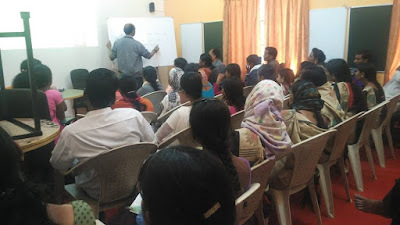 036 - FINANCIAL LITERACY PROGRAMME AT BGVK. 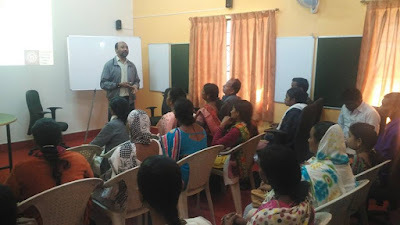 Ahmednagar: 08- December-2016: Bosco Gramin Vikas Kendra (BGVK) organized financial literacy planning workshop for its staff and the progressive SHG members. Forty two members from Beed and Nagar Taluka participated in the programme. 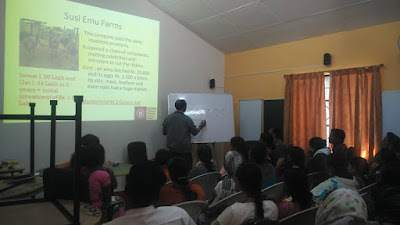 Mr. Mahesh Kumar from the Don Bosco Development Society; who was the resource person very efficiently explained to the participants the value of financial literacy planning in their day today life. The sessions were very insightful and informative. Mrs. Urmilla Kumari Branch Manager, Bank of Maharashtra also gave a short talk to the participants on benefits of savings and cashless transactions. 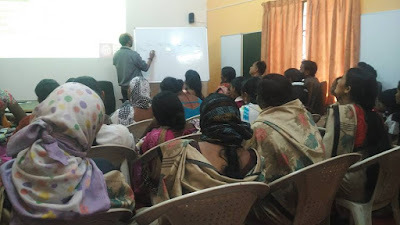 Financial Planning Literacy is an initiative by DBDS & BGVK to work with people at the bottom of pyramid to impart knowledge on planning financial goals and investments in right instruments according to their risk taking capacity. The present economic environment in which inflation is eating the saving and investment returns, it is very important that people be sensitized and informed about such things. Saving money and investing money in right place according to the need and goal of the person is the key to his happiness. It was an eye opening session for many who participated in the workshop. Many participants went back with a promise to open PPF accounts and start saving for financial goals. People learnt the importance of saving and investing in early life and using the compounding power of money to meet their financial goals.